Picture Framing Blog - A Good Frame of Mind: Would You Go to a Robot Art Exhibit? Would You Go to a Robot Art Exhibit? 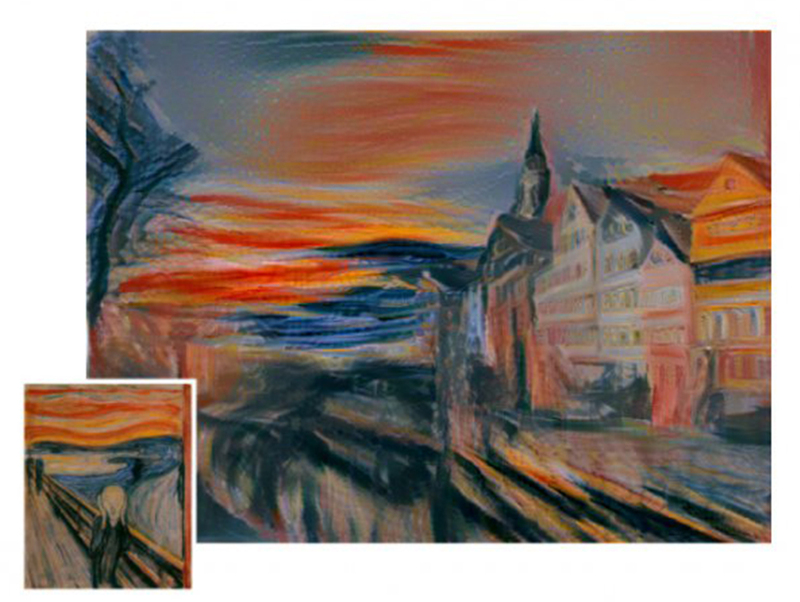 Recently, I read about German researchers who designed a deep learning computer algorithm that can paint like famous artists. 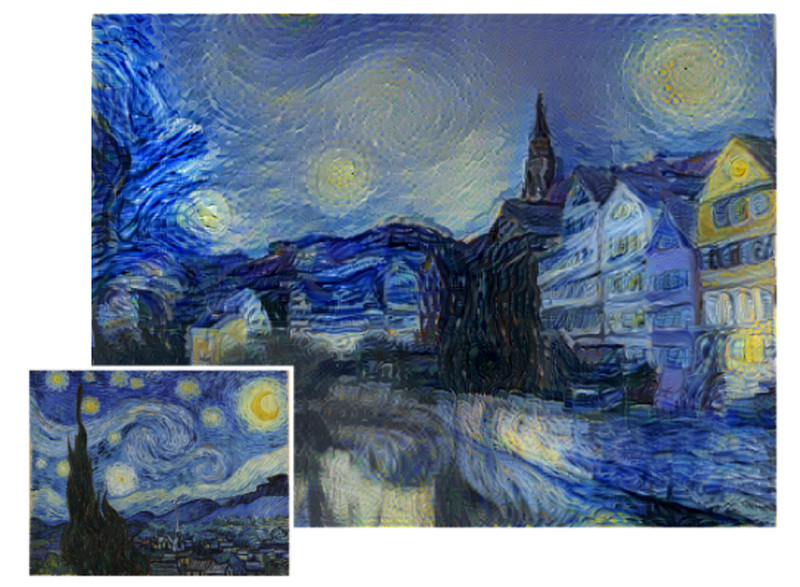 The software, introduced in 2015, distills and understands the essence of how a great masterpiece is painted, in terms of style, colors, technique and brush strokes. 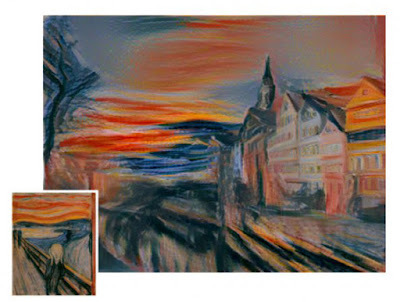 When a photograph is fed to the computer, the algorithm can turn the photo into an artistic painting using the painter's signature style. The algorithm teaches the computer how to identify and separate the style and content of images. 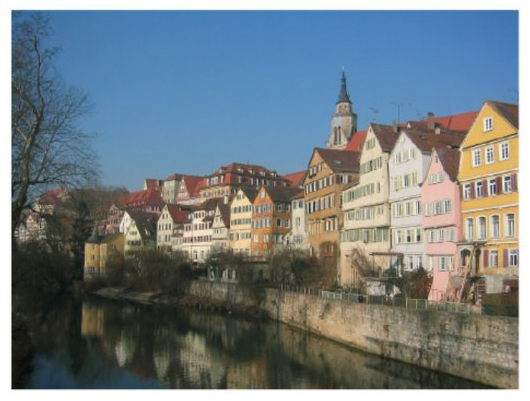 So, while the buildings and layout of the image stay the same, the colors, lines and "local structures" changed to emulate the famous work of art that had been entered into the system. Using a series of paintings that included Van Gogh's The Starry Night, The Scream by Edvard Munch and Figure dans un Fauteuil by Pablo Picasso, the computer produced surprisingly beautiful results that still retained many elements from the original photograph. 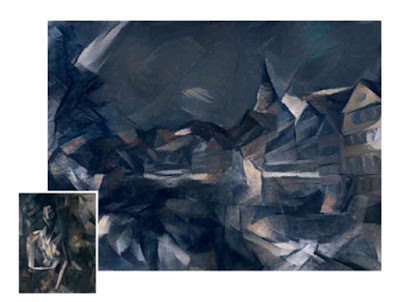 The researchers concluded the project “offers a path forward to an algorithmic understanding of how humans create and perceive artistic imagery." So that got me thinking, what would an exhibition using this machine look like? How would it be different than one by human artists? Do you think you could tell the difference? Would you go to a robot art exhibit? Why or why not? I’d love to hear what you think. Share your thoughts in the comments. I think that would be cool to see a robot exhibit! Would the engineers who developed the robots and the researchers who designed the computer algorithm also be credited for creating the artwork? This institute of the artists creates the event for the special purpose. The art exhibition is always held for the reason and I totally love this event and should to participate in this event to know about the art but https://www.essayuniverse.net/paperial-review/ website offer me wonderful task. This is so wonderful information and I totally love this info. I like the idea of this but like Helen mentioned is it the really the computer that gets all the credit? Get complete your report writing help ireland from top ranked writers of irelandassignmenthelp.com and score high in your college academics. Our academic assignment writers are known for cheap assignment help. Studentsassignmenthelp.co.uk is more popular at globally for its prompt and error free homework writing services at minimum cost. Hire skilled writers for your assignment help and successful academic career.